PennsylvAsia: Japanese-language yoga sessions in Bethel Park in February. Japanese-language yoga sessions in Bethel Park in February. 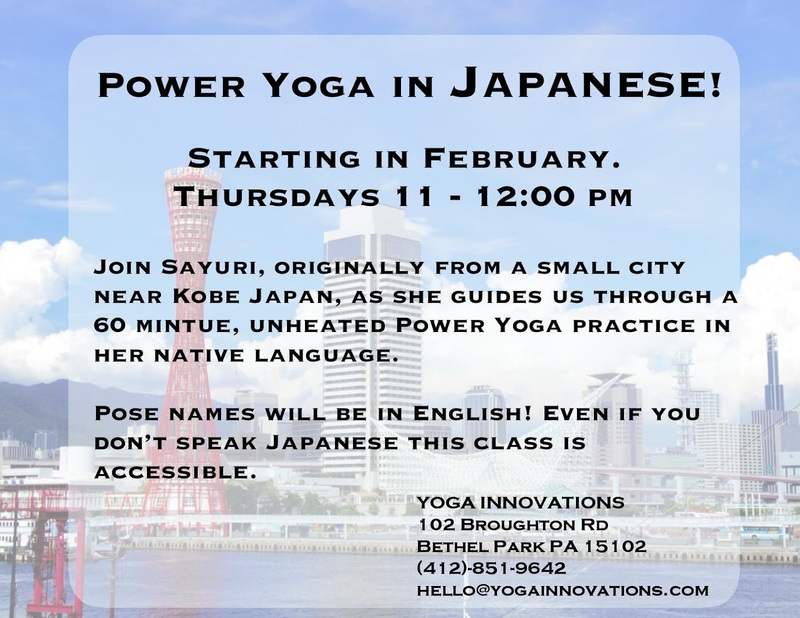 Yoga Innovations in Bethel Park will present Power Yoga in Japanese sessions on Thursdays in February. The sessions run from 11:00 am to 12:00 pm, and the studio is located at 102 Broughton Rd. (map).